Between the lines: This is an explosive report — not only that the U.S. would consider expelling Gulen, who has been living in self-imposed exile in Pennsylvania for almost two decades, but that they would do so to remove pressure on the Saudis even as the kingdom has failed to put forth a credible explanation for Khashoggi's death. It suggests the White House's priority, come what may, is to protect the Saudis and Crown Prince Mohamed bin Salman. U.S. agencies declined to comment to NBC. Details: Per NBC, Erdogan saw an opportunity after Khashoggi's murder to reissue a longstanding demand — that Gulen be extradited back to Turkey. 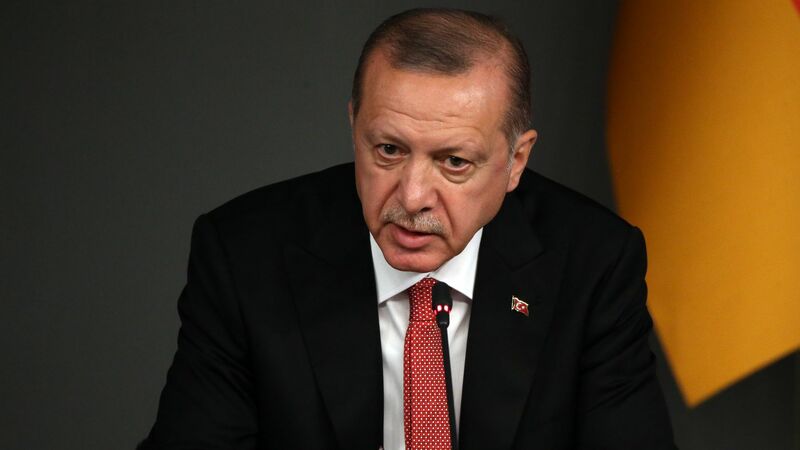 Erdogan has been at the heart of the international pressure on the Saudis in the weeks since Khashoggi's death, with evidence compiled by Turkey undermining Saudi explanations at every turn. A Turkish official told NBC that they don't see a connection between the two issues: "We want to see action on the end of the United States in terms of the extradition of Gulen. And we're going to continue our investigation on behalf of the Khashoggi case." However, "Trump administration officials last month asked federal law enforcement agencies to examine legal ways of removing" Gulen, NBC reports, adding that "career officials at the agencies pushed back on the White House requests." Turkey has arrested hundreds of people for alleged links to Gulen. That was one of the charges against Andrew Brunson, the U.S. pastor who was at the center of a diplomatic crisis between the U.S. and Turkey until his release in October.